The Alentejo region that covers about 30% of Portugal, is one of the most fascinating areas of the country. It is considered ‘the breadbasket of Portugal’ with rustic flavors including simple gastronomic products like olive oil, cheese, bread, Alentejo black pig, wines and more. Évora, the capital, is the gastronomic heartland of the Alentejo region. 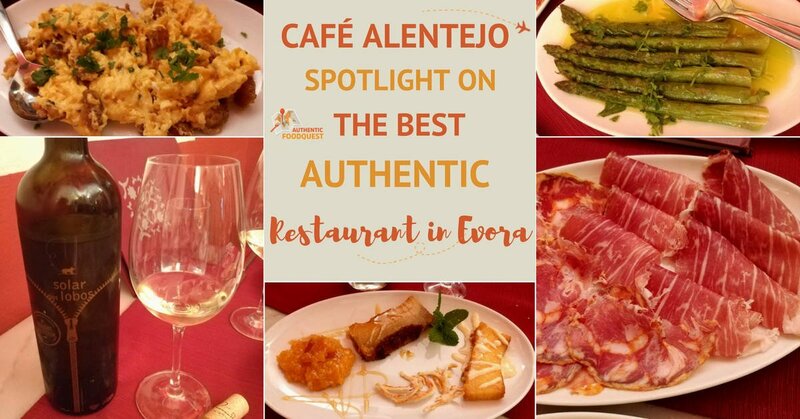 To taste the authentic flavors of the Alentejo, don’t look further than Café Alentejo, one of the best restaurant in Évora. In this article, we take a gastronomic tour of the Alentejo region at Café Alentejo. From black pork to Alentejo wines discover with us the unique and traditional Alentejo cuisine. 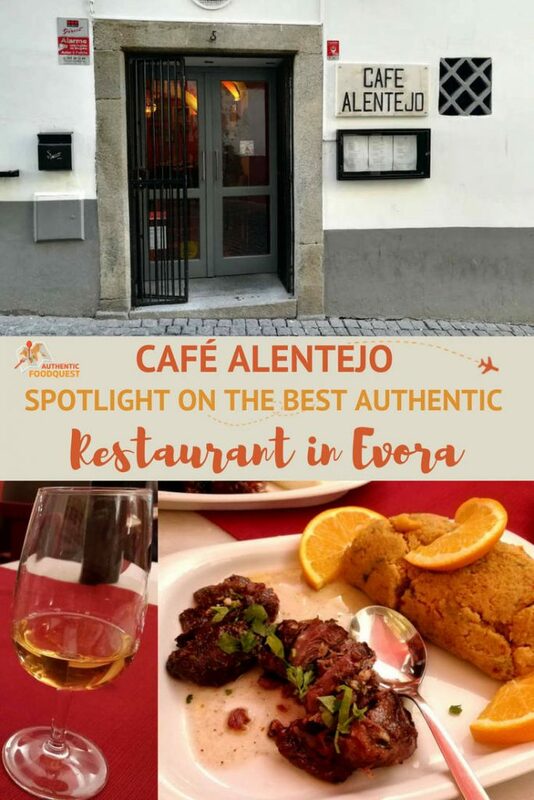 Located a few steps away from the main plaza in Évora, Café Alentejo is an old tavern or taberna from the 16th century. This historical site housed the royal entourage that accompanied the royal family on their visits to the region. 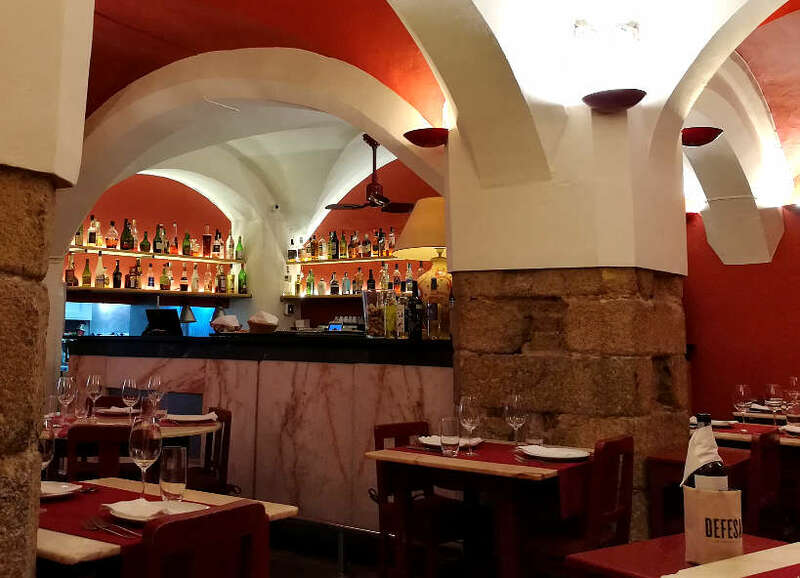 Today, this unique Évora restaurant has preserved the exceptional ancient architecture. As you walk-in, you can’t help but admire the striking arches and vaulted ceilings, in the elegant and modern setting. Since 1999, Café Alentejo has been led by the friendly and passionate Rita Simão. 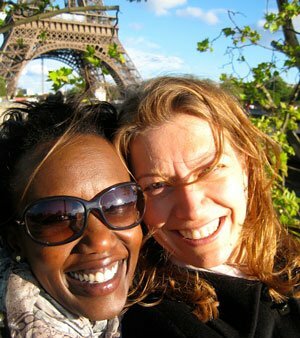 A native of Évora, Rita was the “cook at the parties” while in business management school. Her passion for the local gastronomy led her to throw herself into opening Café Alentejo despite not having any formal culinary training. 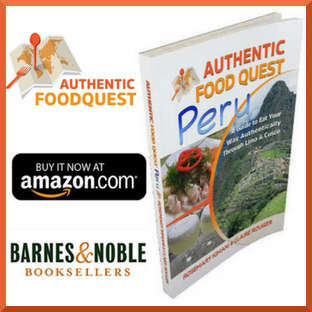 She made it her goal to provide “homemade” traditional and authentic food using the region’s products. From the cheese, desserts and the black pork flavored with unique herbs and spices, Rita only uses local and seasonal products. Nowadays, Café Alentejo is one of the best restaurants in Évora. Let’s sit down and eat! As soon as we sat at our table, we were greeted by the waiter with a beautiful assortment of cheeses, green olives, and a plate of local charcuterie. Typically, Portuguese restaurants serve olives, cheeses and bread on the table as part of the couvert. At Café Alentejo, it was a royal starter of the day. Our favorite among the selection of charcuterie was the presunto or ham made from the local black pork. The cheeses, ranging from fresh to aged all had their unique character and appeal. The waiter also presented three different local Portuguese olive oils for tasting, from extra-virgin to premium oils. Olive oil is omnipresent in Portuguese cuisine and was used generously in the meals from the appetizer to the desserts. 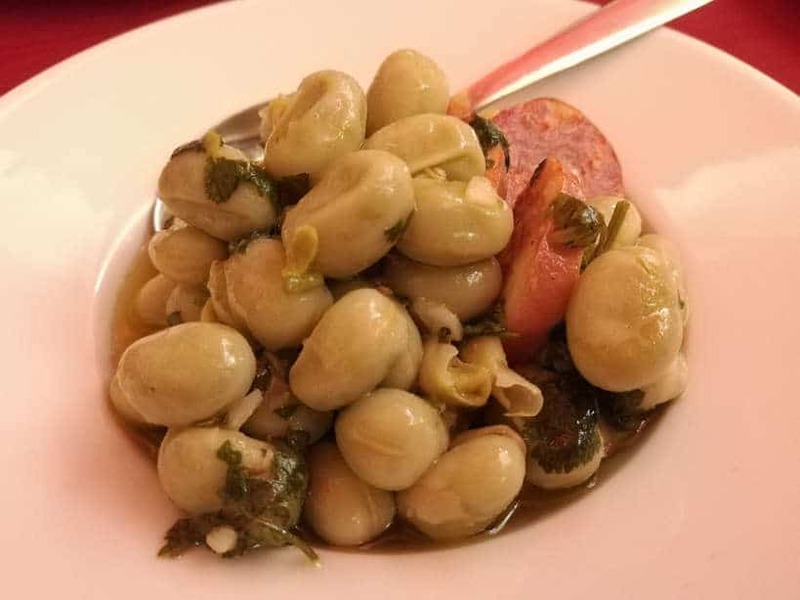 One interesting starter was fava beans made with a local chorizo sausage. The beans were quite tasty, though salty. We learned that fava beans are a popular snack at bars and cafes and the natural saltiness of the beans keeps customers thirsty, and likely to order more beers. They are also a cheap source of protein and commonly used in the rural areas. To complete the starters, were typical Portuguese chicken empanadas. These empanadas were quite different from the empanadas we discovered in Argentina. These are thick and doughy and less meaty than their South American counterparts. Following the hearty starters where we tried not to eat too much, we moved on to the main dishes that represent the local gastronomy. Small plates kept flowing in from the kitchen, accompanied by bold Alentejo wines. 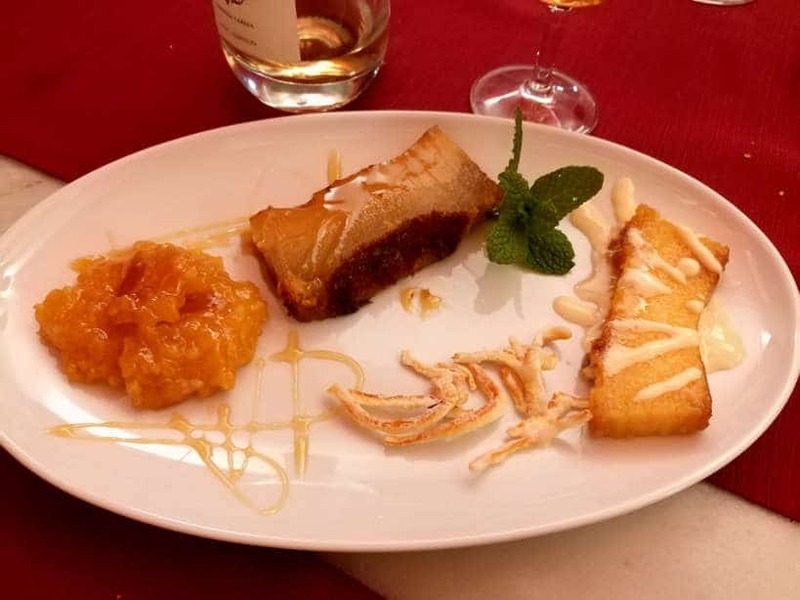 This very typical Portuguese starter was not only delicious, but comes with a somber history. 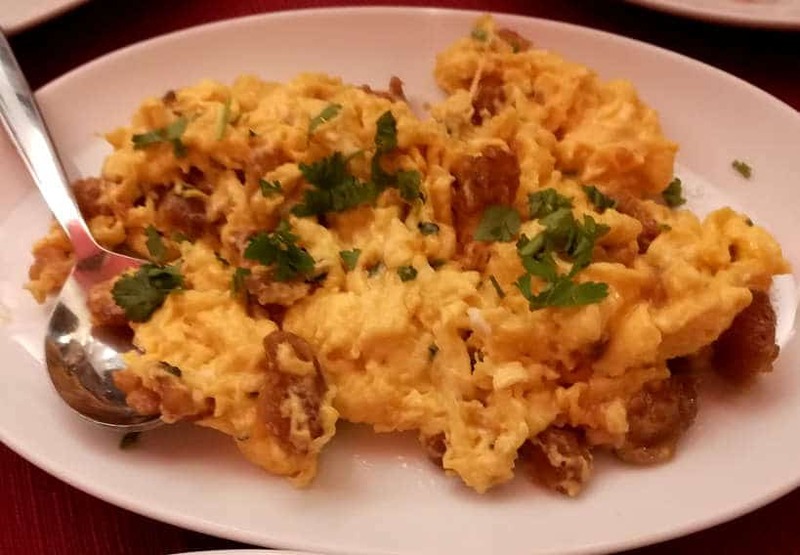 The scrambled eggs are cooked with a unique traditional Portuguese sausage called farinheira or smoked flour sausage. This sausage was invented by Portuguese Jews in the 1500s as a way of protecting themselves during the Inquisition. The Portuguese Jews faked eating pork with these sausages that mimic pork made instead of flour, paprika and other ingredients. Today, the farinheira sausages are appreciated throughout the country. With the scrambled eggs, they make for a delightful starter. Served alongside the eggs and sausage was a plate of fresh and brightly green locally grown asparagus. 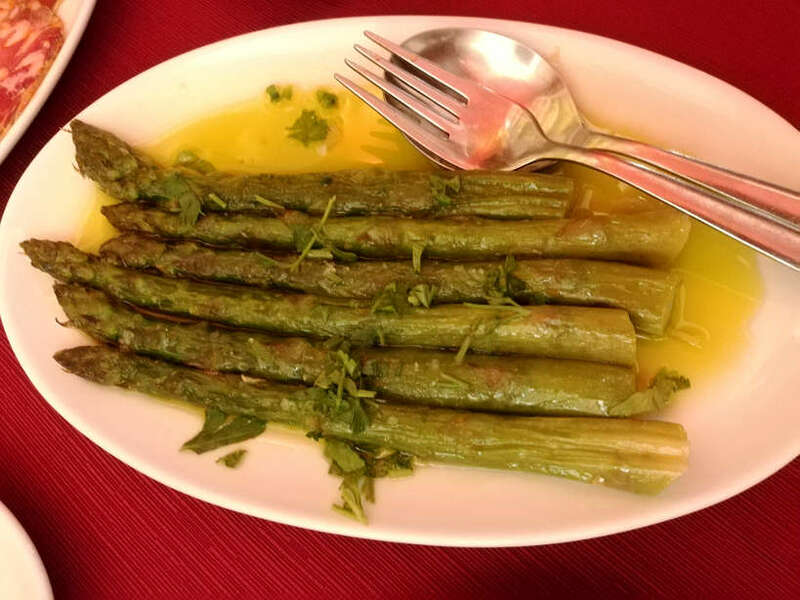 The asparagus, cooked in Alentejo olive oil and sprinkled with local herbs was delectably outstanding. A seasonal speciality of Café Alentejo, there is nothing like the delicious flavors of fresh vegetables. Dogfish, a relative to the shark, is a popular fish found in many Évora restaurants. At Café Alentejo, it is one of their signature recipes and goes by the Portuguese name Sopa de cação. 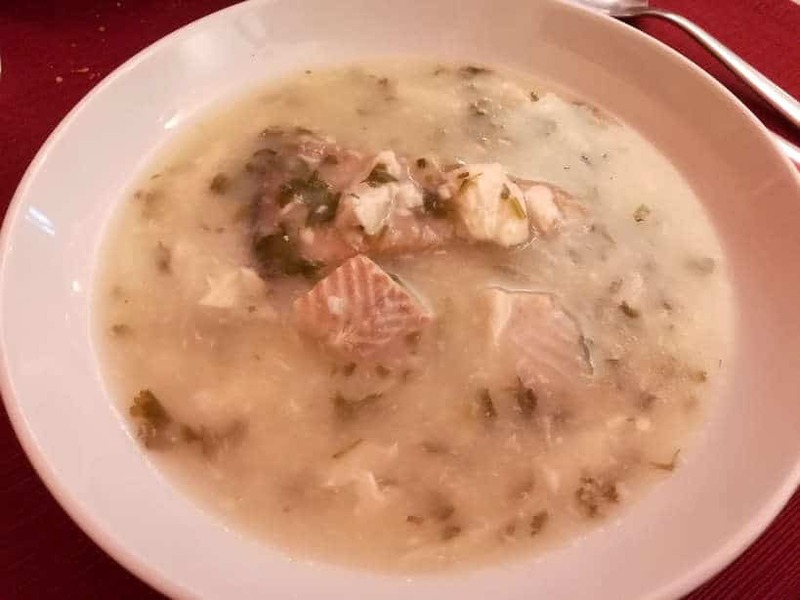 This creamy soup with the mild flaky white fish was outstanding. The combination of flavors from the garlic, coriander, olive oil and additional herbs and spices was a delightful regional treat. As you can expect from traditional Évora restaurants, it was served with local Alentejo bread. 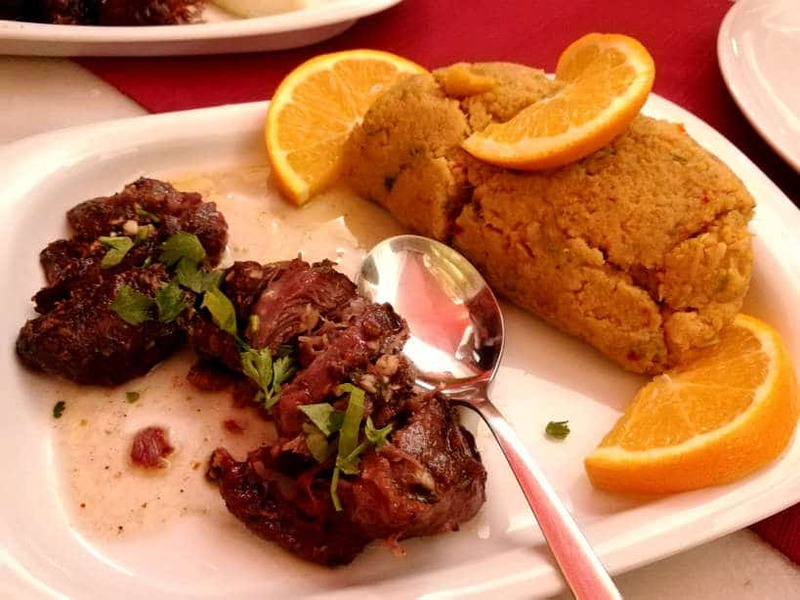 As the meal progressed, Rita introduced two regional meat dishes that best exemplify the local cuisine. The first was oxtail stewed in red wine. This dish is made using a recipe that has been passed down through the family. It is also a meal that takes five hours to prepare. The oxtail was fall off the bone tender, and perfectly seasoned. Served with mashed potatoes, this made for an excellent dish. The black pork was one of the dishes we were most excited to try. The region’s black pork from Iberian pigs fed by foraging for acorns is some of the best in the world. 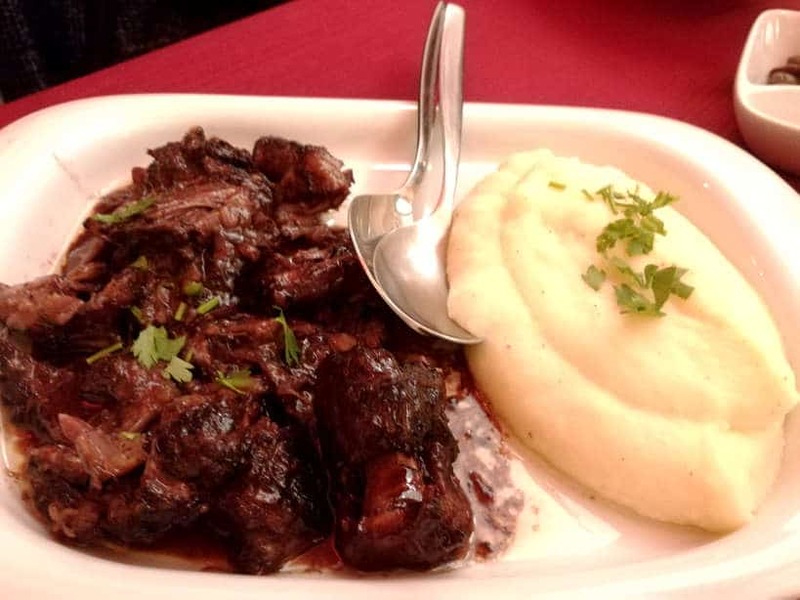 At Café Alentejo, the black pork cheeks were served with a migas, a traditional bread dish from the region. The black pork cheeks were succulent. Meaty, with a surprisingly lean taste. Migas are made with hardened Alentejo wheat bread mixed with garlic and olive oil and fried. They often accompany pork dishes. The unusual textures of the lightly crispy migas was outstanding. The combination of the pork and migas was a heavenly match. 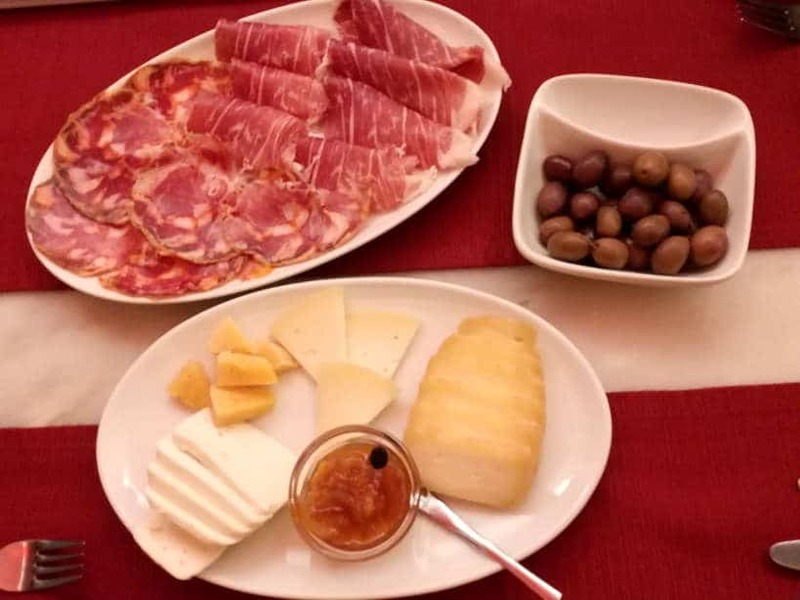 To accompany these delicacies, we enjoyed red wine from the Alentejo region, which is smooth, balanced with red fruit flavors and a hint of spice. Any Portuguese meal wouldn’t be complete without desserts. The Portuguese are known to have a sweet tooth and they cherish their desserts. These desserts are traditionally made with a large number of egg yolks and sugar and often referred as Conventual desserts. In fact, one of the desserts was made primarily of egg yolks and almonds. It was quite slurpy and very sweet. The pudim de aceite or olive pudding was the most surprising of the three. With its slight dark green color, it had a slightly bitter and fruity flavor from the olives. Our favorite was the Portuguese cheesecake. Melting in the mouth, it had a nice balance between eggs and sugar. Alentejo wines are an integral part of Café Alentejo. These wines add context to the regional and delightful food and they are carefully sourced from local producers. For our meal, we had the opportunity to taste three different wines from the Alentejo region. 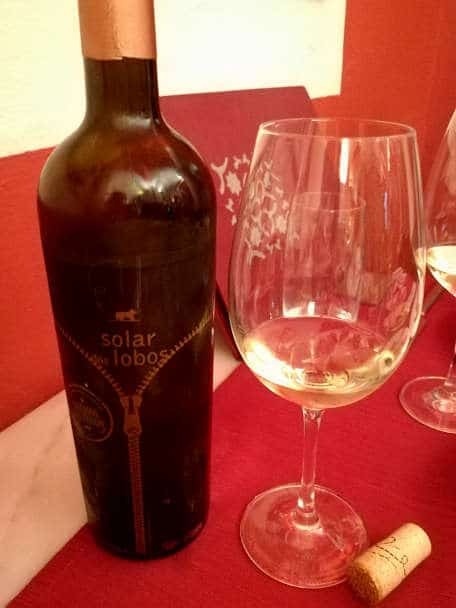 The Solar dos Lobos wines, from a traditional Alentejo family, perfectly complemented the dishes. The light white wine paired perfectly with the cheese and soup. We found the red wine almost too light for the rich flavors of the delicious black pork. Although we typically prefer red wines, our favorite this time was a white wine from Ervideira, a local family owned winery. Served with the desserts, this Late Harvest Wine was the perfect combination to round up our meal. 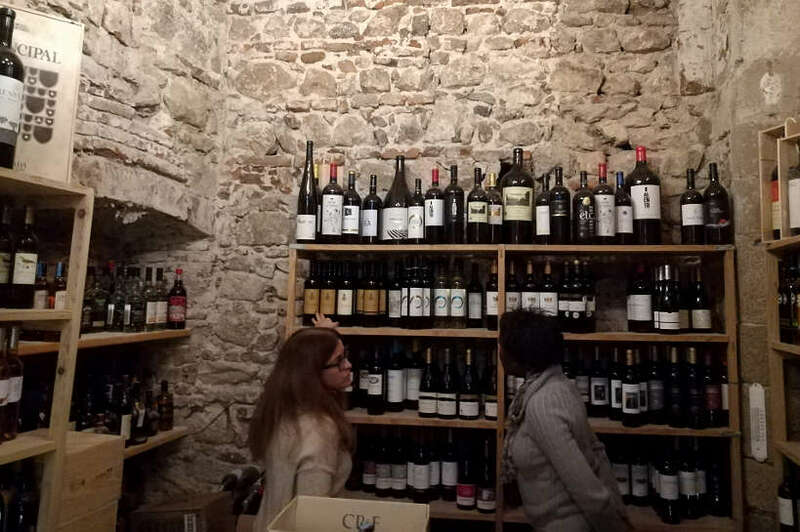 Within the restaurant is a huge cellar that still maintains part of the original architecture. Opened in 2013, the wine cellar is the perfect place to sip the regional wines while admiring the architecture. With more than 3,000 different types of bottles, Rita knows how to please any wine lover. In the cool cellar, which is ideal to escape the scorching hot Évora Summers, Café Alentejo can host private dinners for up to ten people. This is one of the best-hidden secrets of Évora. If you can, seize the opportunity to eat in a royal cellar! Eating at Café Alentejo in Évora is unspeakably memorable. The quality, the authenticity and the diversity of regional dishes along with the wines are unmatched. You’ll taste the simple and hearty Alentejo fare, using only the freshest ingredients that result in mouth-watering dishes. The friendly and accessible staff will make you feel at home within this historic restaurant. Café Alentejo offers you the perfect door to experience Alentejo cuisine. We stayed at the Vitoria Stone Hotel, which is rooted in the traditions of Alentejo with a sophisticated side. Located just 200 meters from the outer walls of Évora, the Vitoria Stone Hotel is an easy 10-minute walk from Café Alentejo. Our visit to Évora was supported by the Visit Alentejo Tourism Board. Opinions expressed in this article are always our own. Those are two delicious options….and when washed down with Alentejo wines, you’ve got a match made in heaven 🙂 Thanks for stopping by! Oh I loved Portugal so much. The food is amazing. I haven’t been to this region though, because when I visited I took the coastal route. But reading about Portugal and you description of the dishes brought me back a little to a country that is very close to my heart! Totally with you 100%. Portugal stole our hearts as well. The food and wines are amazing. Evora is certainly worth visiting. Be sure to add it to your must-visit places, the next time you are in Portugal! 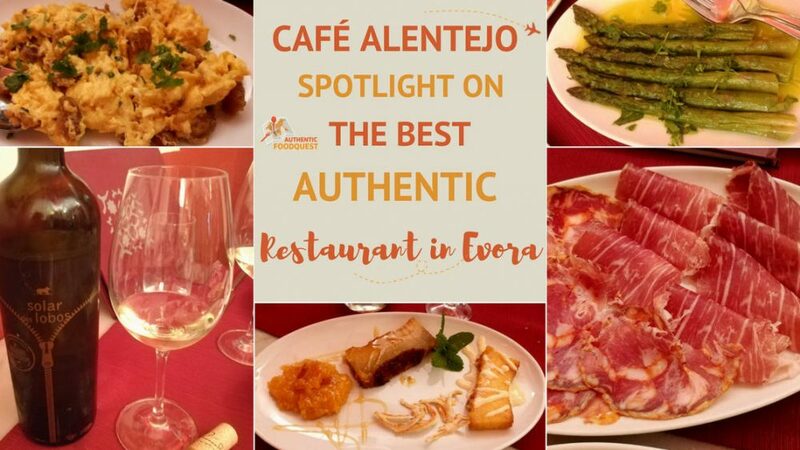 So glad you enjoyed the article and discovering Cafe Alentejo in Evora! 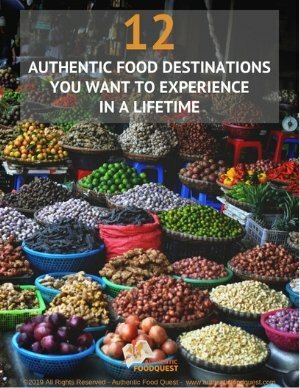 Such great way to explore Portugal through food. 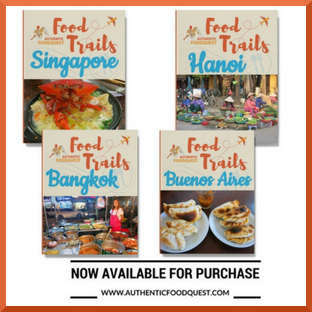 Loved your detailed guide through all the courses, and food looks so yummy 🙂 Hope to get the chance to travel Portugal and have a taste of their specialties. Thanks so much and glad you enjoyed the article. Portugal is definitively a foodie’s country and Evora is one of the best places to explore. If Portugal is on your travel plans, highly recommend taking the trip to Evora. Thanks for stopping by! wow, what a feast you had! This restaurant looks exquisite, I am particularly interested in the farinheira sausages. would never have thought twice about the name but actually learning it is not meat is surprising! We were just as surprised to learn about the farinheira sausages as well. We tried them and found them quite tasty, though a little mushy! An important regional dish! Love their commitment to preserving the building’s architecture, and the use of local products. That fava bean dish looked so unusual. Wouldn’t mind sampling some of that white either. Cafe Alentejo is a really special place in Evora. 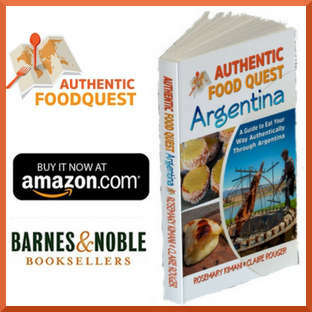 The history and amazing food and wines is one of the best reason to visit the restaurant. The fava beans are certainly interesting and quite tasty. A trip to Cafe Alentejo is certainly worth it! I shouldn’t have read this at dinner time! The food looks delicious and Id take full advantage of that wine cellar 😛 Thanks for sharing! Lol….always tough to read about food at meal times 🙂 Glad you enjoyed discovering Cafe Alentejo! My mouth was watering the entire article. I have been to Portugal many times now, always looking forward to the culinary delights that one comes upon at nearly every turn. The desserts and wines, cheeses especially too, I love the food, and will note this cafe for my future visits. Awesome!! 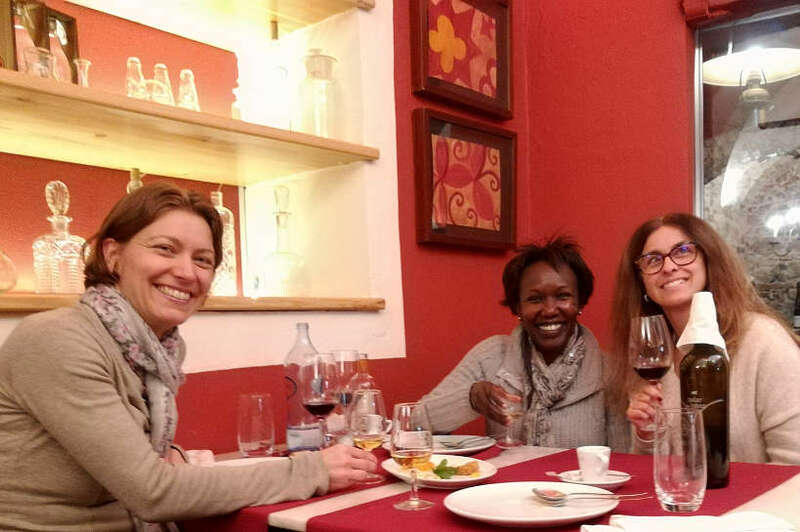 When you do make it back to Evora, please be sure to introduce yourself to Rita the owner. She’d be delighted to know you heard about the restaurant from Authentic Food Quest. Glad you enjoyed the article! What a cute little place for food! My mouth is watering looking at these delicious dishes 🙂 Will have to go here if I ever visit Evora. Awesome to read. Cafe Alentejo is worth the trip to Evora!! Glad you enjoyed the article. That looks sooooo DELICIOUS! And the reading and the descriptions are awesome and so detailed. I wish I could be there and eat one of those dishes right now. I love Asparagus and fish and I could taste all of them. That’s so wonderful to read that you enjoyed the article. So much good food at Cafe Alentejo…yum, yum! On my recent trip to Portugal I feel in love with the black pork ham from Alentejo that I had while in Lisbon. I would love to visit Evora and Cafe Alentejo to explore the flavors and wines of this area if they are any where near as good as that black pork! Yes, indeed the black pork is incredible and eating it in Evora is a must. It’s so close to Lisbon and worth a trip to the Alentejo region. Make a note for your next visit to Portugal!! Alentejo cuisine seems so good especially with great Alentejo wines to pair with. 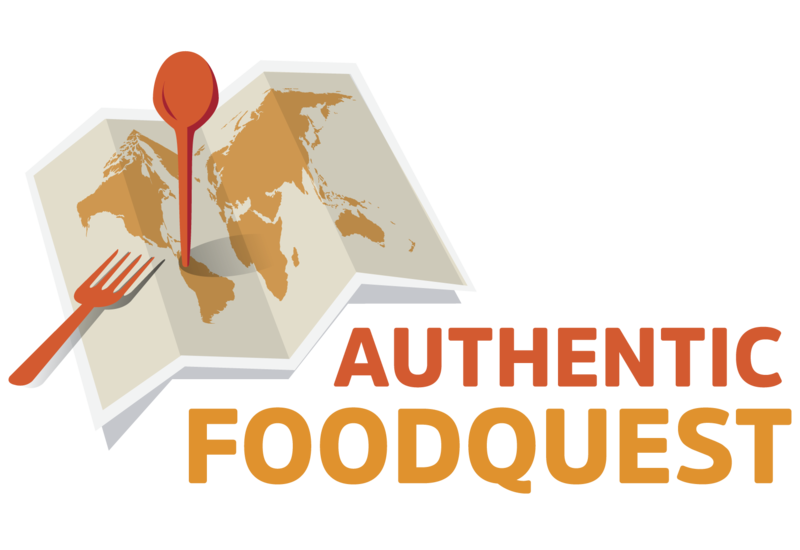 We are going to be in Portugal this October and we are already anticipating great eating! I was there in Evora for a day, I wish I had known of Café Alentejo before. The food looks super yumm. Good that you could try Oxtail and black pork dishes. Those are indeed some of the popular local dishes. That’s incredible that you visited Evora. Too bad you missed Cafe Alentejo. Note the address and definitively do visit on your next trip to Evora. Cheers! I traveled around the north of Portugal and was mostly unimpressed with the food. But I’d eat everything here, with maybe the exception of the dogfish. I’m super picky about fish, but it looks like a meaty one that I might like. Drooling over that oxtail stew! It’s true that the food can be hit or miss in the north of Portugal. Lot’s of fried foods. In the Alentejo region, the food is quite varied and a delicious experience. If you find yourself in Evora, highly recommend Cafe Alentejo. That oxtail soup is incredible!! Yum, this all looks good! I haven’t been to Evora, but nothing beats fresh and local cuisine. I love that the royal entourage used to stay here back in the day. Awesome and glad you enjoyed the article. There is nothing like eating amazing food in a former royal inn. For your next trip to Portugal, Evora and Cafe Alentejo are must visit sites! Thanks for stopping by Marissa. I like to punish myself by reading your blog when I am STARVING! lol I have been wanting to get to Portugal myself as I have heard before the foodie situation is just divine! I had never heard about Evora before but now it is on my list! That’s awesome. You will love the food and wines in Portugal. Are you planning a trip soon? Be sure to add Evora to your list and be prepared to enjoy some of the best ham ever!! Thanks for stopping by! I just came from Portugal and I’m sad now that I didn’t visit Evora. In fact, I’ve never heard of it. It definitely sounds like their restaurant gave you the royal food treatment! I loved Portuguese foods and was surprised at how much I enjoyed their yolky desserts. Bummer, you missed Evora, Paige. But that’s okay. Another reason to go back:) Yes, the food is delightful in Portugal, but I have to admit, I never quite liked the eggy desserts 🙂 Thanks for stopping by! I think it’s so interesting how empanadas can be so different, depending on what country you’re in. All of the food looked so great though. I think the pork and the desserts would be my favorite! That cheesecake sounded amazing! You are right Vicki, we were so surprised by the empanadas in Portugal. Regardless, the food in Portugal is divine and the black pork is out of this world!! Hope you get to visit soon. Cheers!